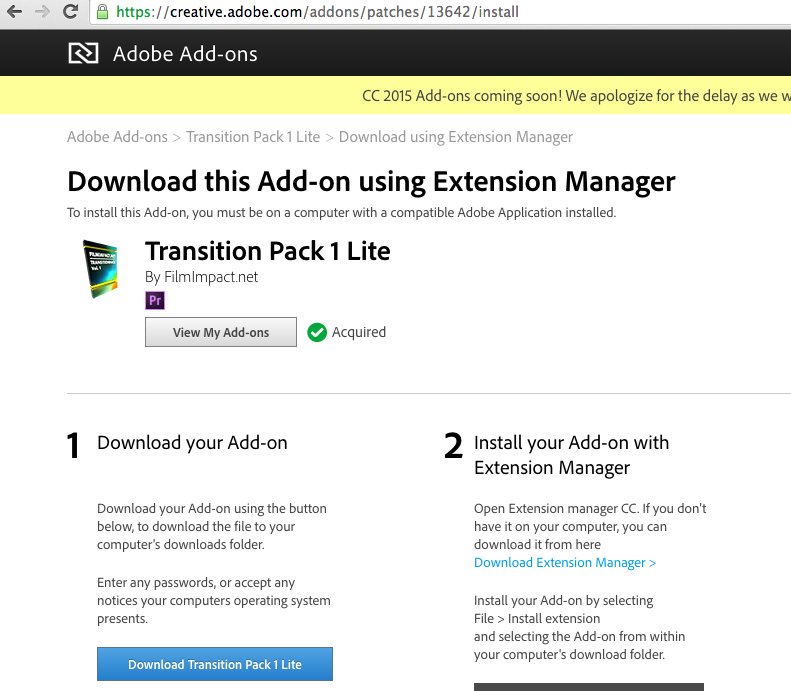 If you experience installation issues with Adobe Add-ons, you can download and use the Extension Manager Command Line tool (ExManCmd). Download the ZIP file for you platform and unzip it to a folder of your choice. We’ll call it ExMan_root. Use the Creative Cloud desktop application to install or uninstall any Adobe application, in order to refresh the list of installed Adobe applications in the Extension Manager database. 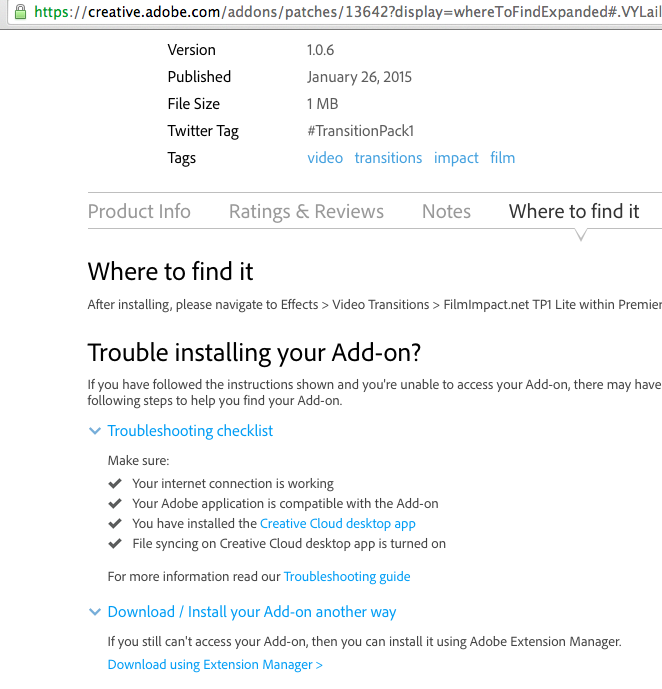 Open creative.adobe.com/addons/my_addons and locate the Adobe Add-on that has installation issues. Click Install Issues? at the right of the page. On the “Where to find it” page, click Download using Extension Manager (at the bottom of the page). On the download page, click the blue Download button at the bottom. When the download of the add-on’s ZXP package is complete, copy it to ExMan_root. Let’s call it myaddon.zxp. Close any Adobe applications that are compatible with the Add-on.